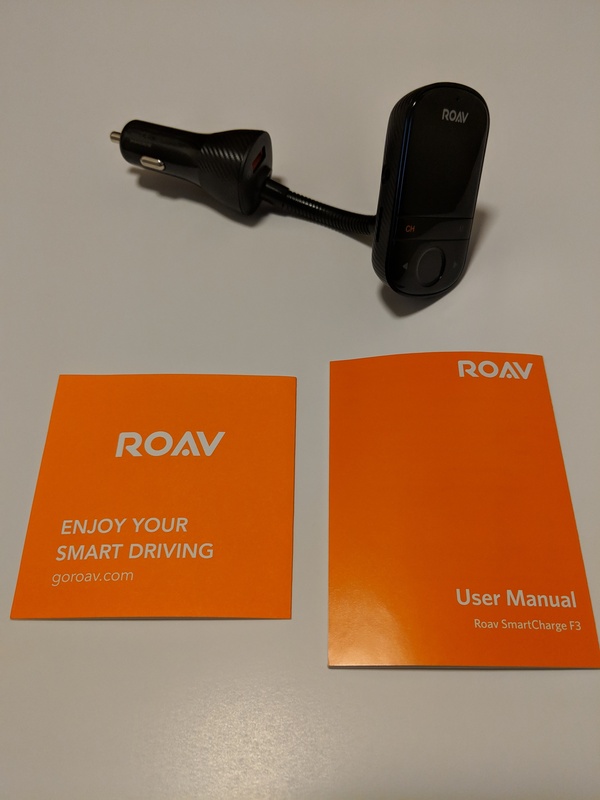 I finally got my review unit of the Roav SmartCharge F3 and I can honestly say I'm pretty impressed. I didn't think I'd have a use for it since my car has bluetooth connectivity but boy was I wrong. 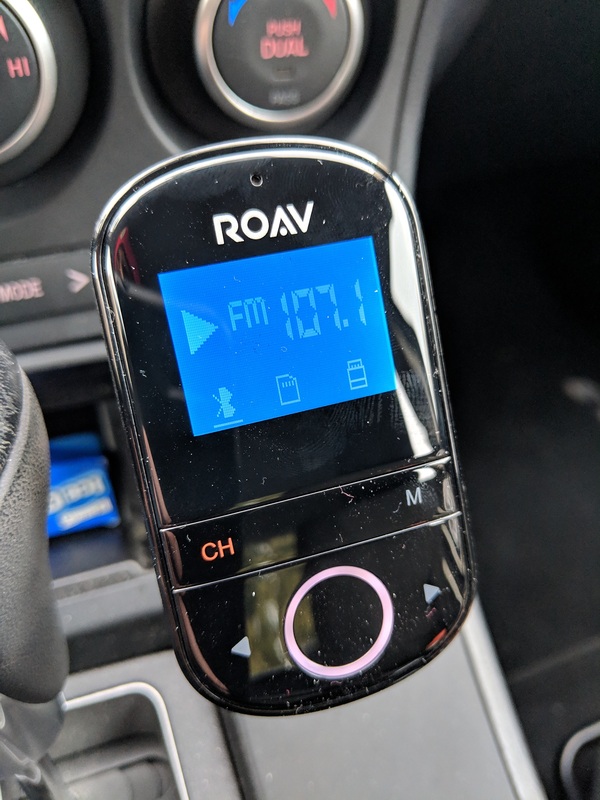 This is super easy to use and connect over the FM channels that I prefer to use this method than the one built into my car. It's especially useful if you have others that want to DJ, so switching to another phone is quick. Size wise it sticks out a little bit in the plug and sometimes gets in the way of my gear shift but not annoyingly. I do wish that the coil would bend a bit better, it is a little stiff. As for charging your phone, the Quick Charge 3 is amazing. On my 20 minute commute home, it charged my Pixel about 35%, way faster than any other car charger I've owned. You even get a second charging port on the side, which also functions as a music input as well (there's a SD card slot as well but I didn't test that). When connecting with the free app, it works really well in pinpointing your location and where you parked, definitely useful if you travel a lot or find yourself in crowded large parking lots. Overall, I'm pleasantly pleased with the product. 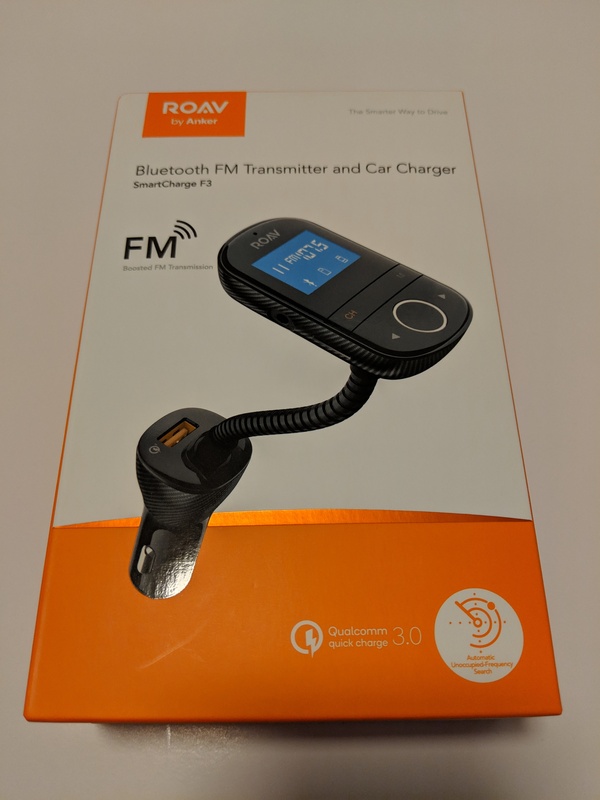 I could definitely see this being a huge plus for someone that has an older car with no bluetooth, but like myself, works well even if you already have that. Great review. Glad you liked the item. Usage pictures are very helpful. Great review, I saw this item in the Power Draw several weeks ago and was intrigued. Great review. I have an F2 and it works well but the head blocks ports. I was thinking about getting this one when its time replace mine. It looks like the part that plugs in doesn't take up much room and the head sits far enough way that it shouldn't block anything. Nice review. Always love pics! Wow seems like it's way better than what I thought. Good review too! Great Review @Kevin_Pagano . I too didn't really see a need for this device since my car has Bluetooth but after your review I changed my mind. You can't even imagine how much Bluetooth phone switching we do cause my kids really want to hear their music. I do have the ROAV Bolt on order so this might not work for me anyways, hopefully it will have most of the functionality of the F3 . I am still patiently waiting for release!!! VERY PATIENTLY !!! Nice review and with pictures it is even better. Congratulations and enjoy your ROAV ! !